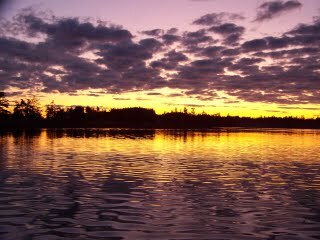 Beautiful fishing weather this weekend, sunny and warm with little wind. 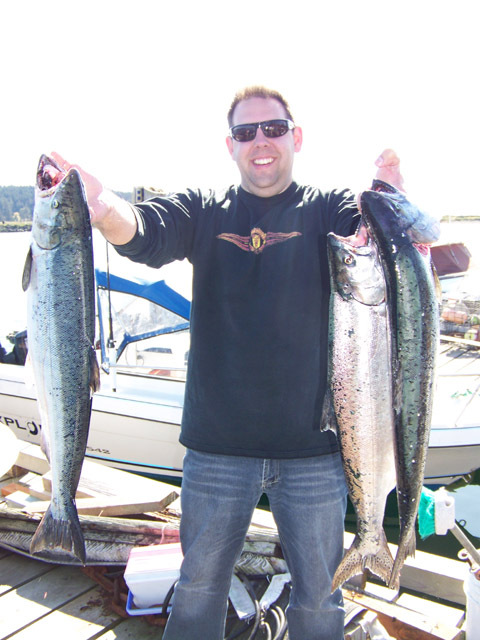 The coho fishing has slowed down from last week. Despite now being allowed to catch 1 wild coho, it seems there's few around -- a couple of reports of hatchery coho caught in low teens, but not the schools of coho from a week ago. Out in the deep water in the middle of Juan de Fuca strait is the call, with fish reported at 70'-100', caught on dark hootchies. The Rhys Davis baitrix purple haze herring strip did well too. 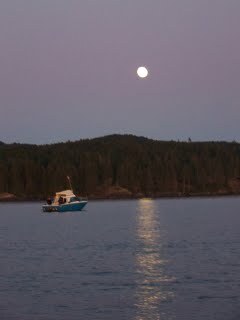 There is an abundance of winter feeder springs, though, out in front of Sooke Bluffs and even out to the tidelines. They are mostly small shakers, 1-3 pounds, but there's some nice 10 pounders mixed in. 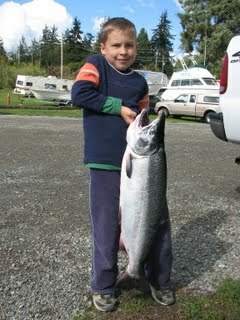 Pictured is Jordan, from Vancouver/Ottawa, catching his first salmon...way to go Jordan! Out in the Sooke River, anglers are catching coho and chum from shore and from little boats. 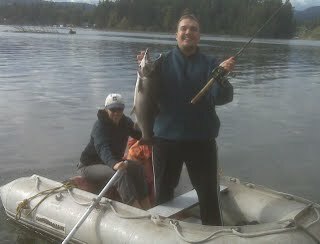 Here's Dale from Australia with a nice coho caught from a zodiac. 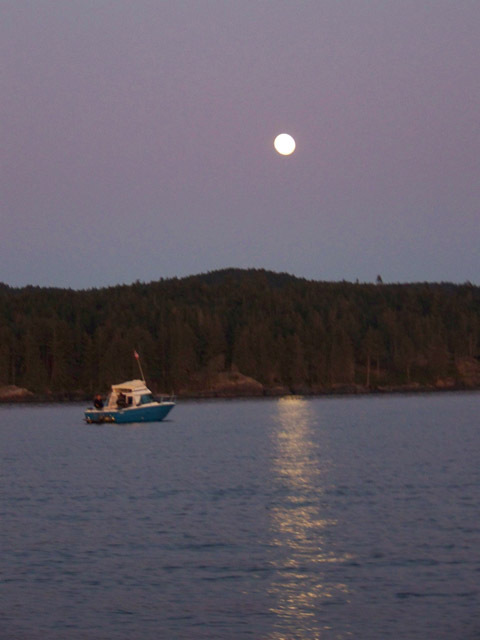 Below are some additional photos of a fun weekend...Nathan H with a 14.5 pound coho caught with his dad Dave in a little tin boat, feeding the seals by hand from Salty Towers, a nice Sooke Harbour sunset, and a moonrise at dusk.